Headphones, earpiece or headset, whatever you call it. The basic use is not just to make you listen to good music and vigorous sounds. But it should also provide you with a good isolation from the outer world, where people are chatting noisily every time. Purchasing a new headphone can be really cumbersome. There are thousands of brands with millions of products, claiming each one to be better than the rest. So, to find your best headphone set, you need to do a little homework. Search for the products online, compare their pros and cons. Then get your hands on the one that exceeds the features of the others. For your assistance, I am not giving you a list of the best headphone products. This would confuse you even more like which one to buy. All I am doing is bringing you an honest review with legit facts about the COWIN E7 Pro (affiliate link) after the upgrade. The E7 is one of the most searched online products, especially after the 2018 upgrade which makes it pro. So let’s start from the introduction of the makers and then moving on to bits and bobs of this upgraded sound-ware. If you call COWIN the doctor of sounds, it won’t be wrong. This team comes up with a lot of different products. But every time, they have various positive features and least number of cons. 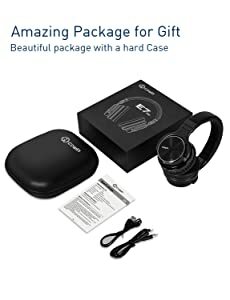 COWIN E7 one of the best versions of headphones available. It has thousands of satisfied customers, especially after the latest 2018 upgrade. 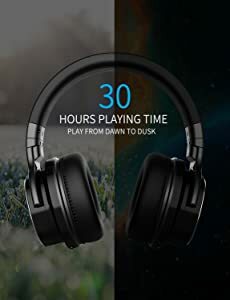 People are now heeding to get the wireless COWIN E7 Pro headphones. 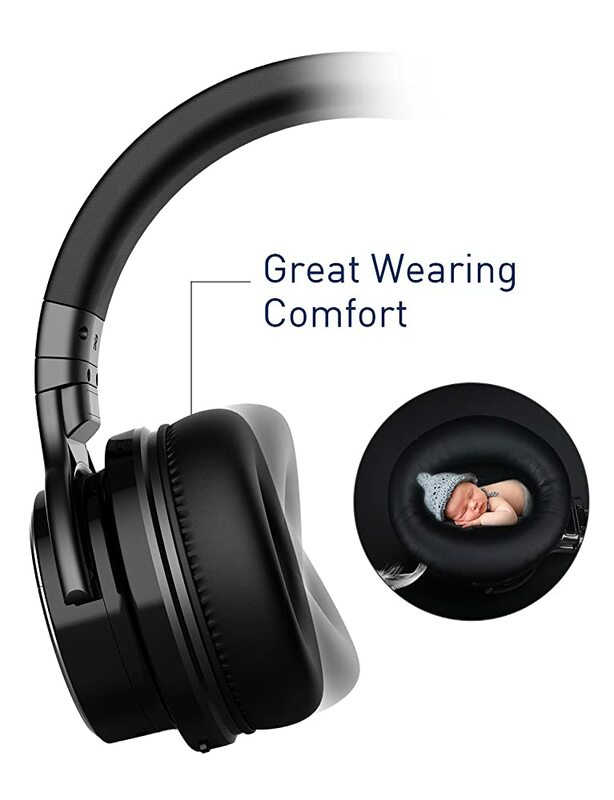 The closed ear cups are stable to reduce the noise in your surroundings. The cushions are comfortable. An advanced speaker technology provides high-end sound with powerful bass. You get this all at a valuable price, making it one of the top-picking product on the internet. What does this upgraded and pro version of the COWIN E7 own? You will find out in this COWIN E7 Pro after the upgrade review. What comes to your attention first? It is the shape, size, and overall anatomy. The COWIN E7 Pro padding is well made and comfortable. The headband is embedded with fluff inside the leather covering. It makes it feel easy on your head. Plus, they are of lightweight and the ear cups are soft. On the downside, the ear cups are round shaped and a little bit too small. You cannot extend the headband as you would like to do on big size heads. Thus, I think you will feel fatiguing if you wear them for long periods. Along with this, let us talk about the cushions of this latest COWIN E7 Pro version. The company has replaced the ordinary foam of the E7 ear pads. Now they use a professional protein-enriched version. Additionally, the round ear-cups are rotatable by 90 degrees. Which means, your ears are not going to hurt as long as you are using E7 Pro by COWIN. It also got a better built-in microphone to enrich your voice with clarity and precision. So they are great for recording voice sounds or for online chatting to the far off places. The mouthpiece used in the E7 Pro is upgraded with the NFC technology. Which means, the voice will promptly reach to your Bluetooth enabled devices. One of the best things about the upgrade is, it is now rooted with the ANC Technology. ANC helps to reduce noisy sounds in your surroundings. It is specifically helping those allergic to gatherings. Now you can just put on your COWIN E7 Pro (affiliate link), switch ANC on and ignore the world. Apart from this, you can enjoy your favorite music, play videos and easily talk on-the-go. Even on a busy pathway, you won’t be disturbed because the Active Noise Cancellation is here at your service. The latest version of E7 Pro by COWIN is powered with 45 mm large-aperture drivers. Thus, the bass is consistent and punchy, even though it is boosted. Treble also is good and relatively balanced with great sound imaging. But the mids sound a bit thin, especially on vocals. Now you are going to get articulate sounds every time. The articulate sound is a term that confirms deep and detailed music. Making each and every voice of the sound you are playing, audible with detection. Test it by playing a video where lots of birds chirping around. You will be able to detect each differentia sound easily. In comparison to the E7, the pro versions sound quality is more balanced and overall better. You can use this headphone with and without wire, just the way you like it. If you want to lay in a tub with headphones on, detach the wires. Enjoy your loved music while bathing with up to 30 hours. The 800 mAh battery life of COWIN E7 Pro will not let you down. But beware, if you are on a long journey. You might have no access to a facility to recharge your headphones. And even if you have, recharging these takes a long time, very slow loading speed. So always keep the wires with you if you want to listen to your favorite music till you want. You are able to use them while charging, this is good. Being the genuine and most authentic brand, COWIN offers an 18-month warranty on the E7 Pro. In case of any problem, you have the right to call the customer care center. A friendly staff member will help you to conquer queries and guides you for warranty claim accordingly. To claim a warranty don’t use web portals from where you had purchased the product. In fact, contact officially to COWIN. Overall look is good, but maybe the design feels bulky. Ear cups seal is fragile, however, with careful use, you can keep it safe. 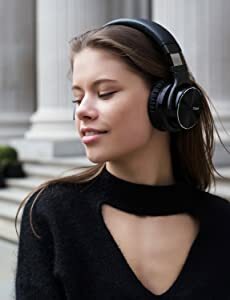 The COWIN E7 Pro (affiliate link) is comfortable, adjustable and has a better-balanced sound than the E7. They have active noise cancellation and a built-in amplifier to control your music. The embedded microphone is decent and it is overall easy to use with and without wires. Plus, its battery life adds additional value. COWIN offers 18 months of warranty and a friendly customer support. Moreover, the E7 Pro headphones are feasibly priced. It looks like a good to grab sound hardware available so far. All in all, they deliver a good audio experience and are portable. 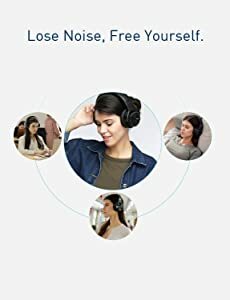 But, if you are looking for headphones to go jogging or taking all your business calls at a busy subway station, then these are not for you. Well, let us conclude the discussion with a question. Is it safe to purchase COWIN E7 Pro after the upgrade or not? My answer to this is yes. Because it has got all the features you want to have in a great headphone. These are a good choice for you if you want mobility and sound quality at a reasonable price. Previous articleDoes This New Smart Speaker Look Familiar? something tha helped me. Kudos! Its wonderful as your other content :D, thankls for posting. back to read more of yourr useful information. Thanks foor the post. Great post. I was chedcking constantly this weblog and I’m impressed! 🙂 I care for such information much. I used to be seekkng this certain information for a very llng time. the theme I’m using for my WordPress site is called “Newspaper”. since this is my very first Blog I did not even think about a newsletter. Thank you for the question and idea. I’ll definitely consider adding one in the near future after I found out how to do so. Heya! I understand this iis kinmd of off-topic bbut I hadd to ask. I do write in my diary daily. I’d likme to start a blog so I can share mmy personal expsrience andd thoughts online. Rattling good info can be found on wweb site. I like the helpful informatin you provide in your articles. Goodd luck ffor the next! in our community. Your website provided us with valuable info to work on. You’ve done a formidable job and our whole community will be grateful to you. However, how could we communicate? Howdy, i read your blog from time to time and i own a similar one and i was just curious if you get a lot of spam remarks? I use Akismet Anti-Spam Plugin for WordPress and manually approve/spam/trash every comment.